This presentation will cover the topic of Multiple Sclerosis (MS), a disease that affects roughly 25 million people worldwide. 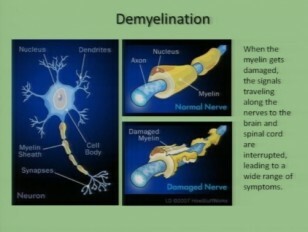 MS is an autoimmune disease that affects the central nervous system caused by damage to the myelin sheath of nerve fibers. This presentation will include causes, symptoms, and other details of the dibilitating disease.